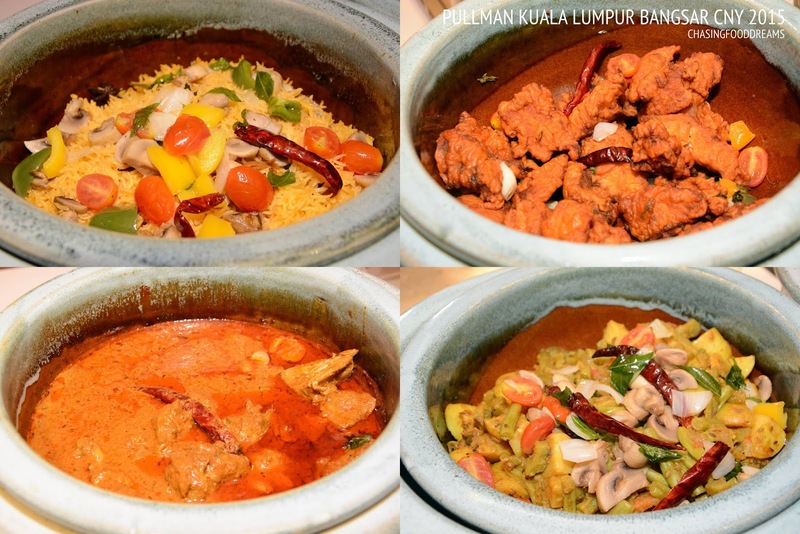 Joining more Chinese New Year cheer had me visiting Pullman Kuala Lumpur Bangsar recently for a sneak peek at their festive dining at Link Restaurant. Link All Day Dining is set to serve fresh favorites for families and friends this festive season with a big spread of Chinese specialties as the hotel ushers in the year of the Goat with A Year of Greatness & Goodness! 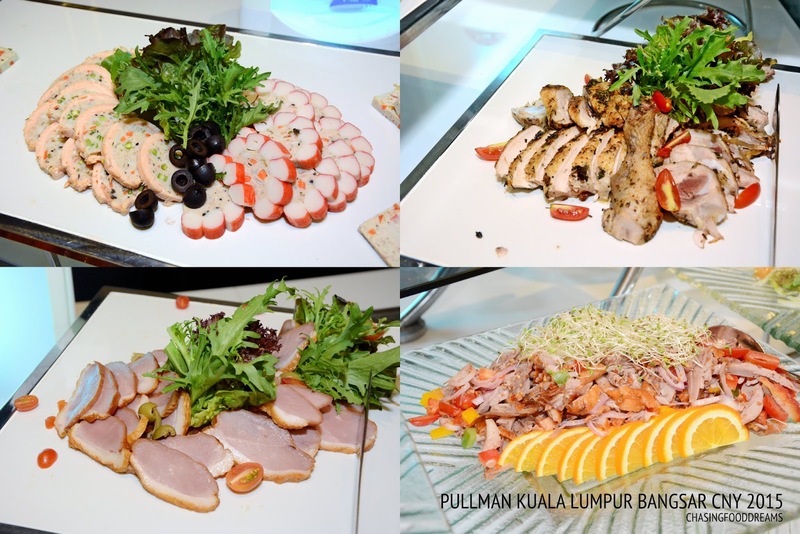 In marking this festive season, Pullman Kuala Lumpur Bangsar hosted some senior citizens to a treat of Chinese New Year Yee Sang and Link’s scrumptious buffet spread. After speeches by Pullman Kuala Lumpur Bangsar Management, an auspicious Lion Dance kicked off the evening with much prosperity in tow. Every Chinese New Year feast will not be complete without the tossing of Yee Sang. At Link, diners can set their creativity to endless possibilities to create their own auspicious Yee Sang with fresh Salmon and Jelly Fish together with lots of other Yee Sang ingredients. The Yee Sang is then to be tossed with Chef’s special wasabi plum sauce. 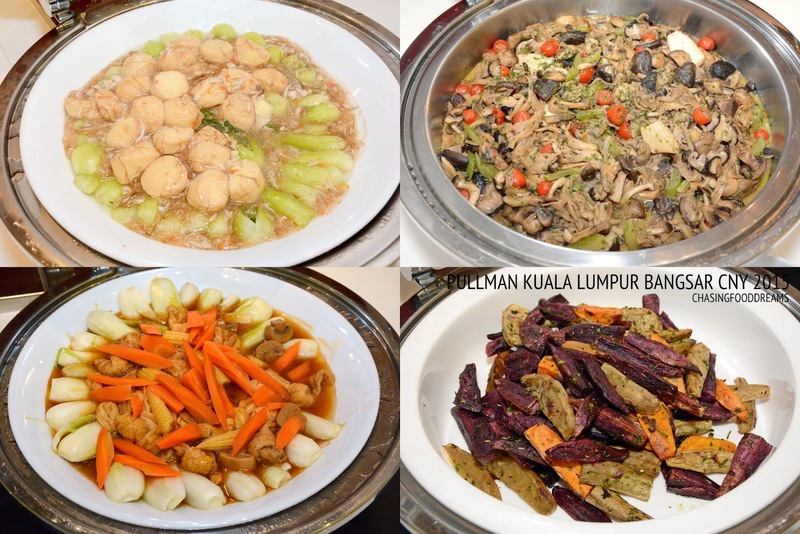 Here are some of the festive spread which includes a large selection of Chinese festive dishes together with other Asian and international dishes. 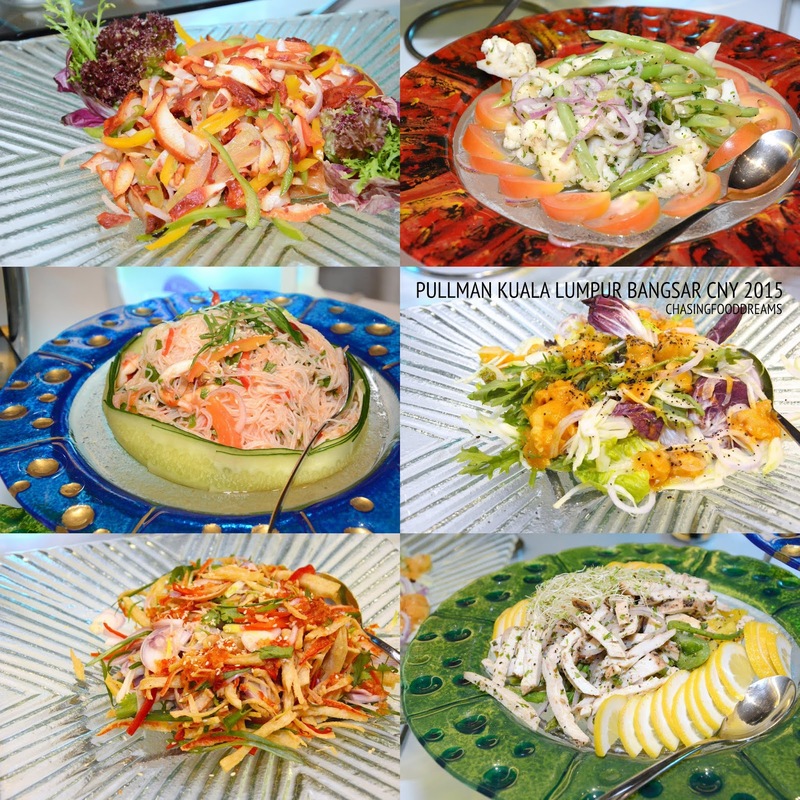 Check out the salad bar and enjoy the varieties of local and international salads and kerabus. There are also Smoked Duck, Roasted Chicken, Seafood Terrine and more. Visit the Carving Station for Oriental BBQ-Roasted Duck, Roast Beef and more. I enjoyed the duck a lot! There are also live stations for Dim Sum, Steamed Chicken Rice with Roasted Chicken, Roasted Duck and Steamed Chicken. Another favorite station would be the BBQ Grill Station featuring BBQ Chicken, Lamb Chop and Fish. 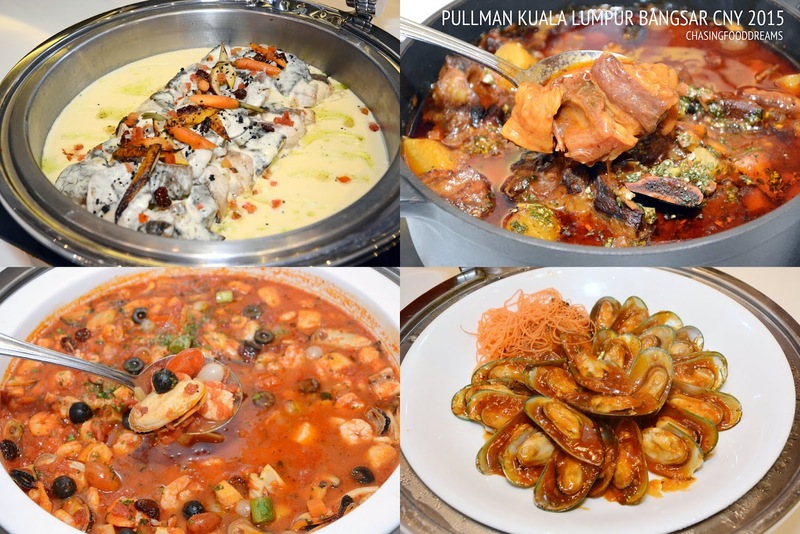 Chinese cuisine highlights include Seafood Crab Meat Soup, Five Sea Treasure Broth, Baked Chicken with Chinese Herbs and Rock Salt, Steamed Barramundi Fillet with Sweet Bean Sauce, Fook Cheow Style Braised Fish Maw, Steamed Fish with Soy Sauce, Wok Fried Yee Mee Noodles, Braised Vegetable with Egg Bean Curd & Mushroom and more. 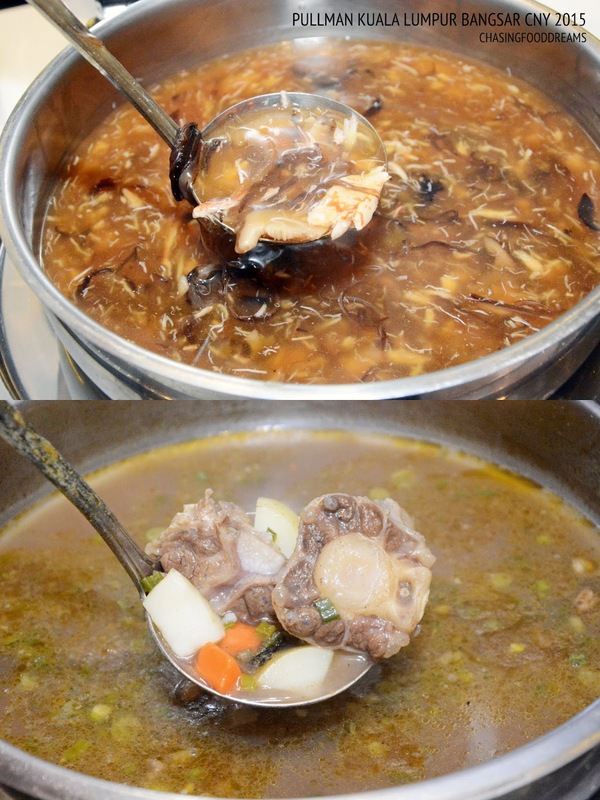 International favorites include Braised Beef Rib with Root Vegetables, Zucchini Sea Bass with Green Pea Sauce, Seafood Stew and Roasted Chicken. Do save some tummy space for desserts! 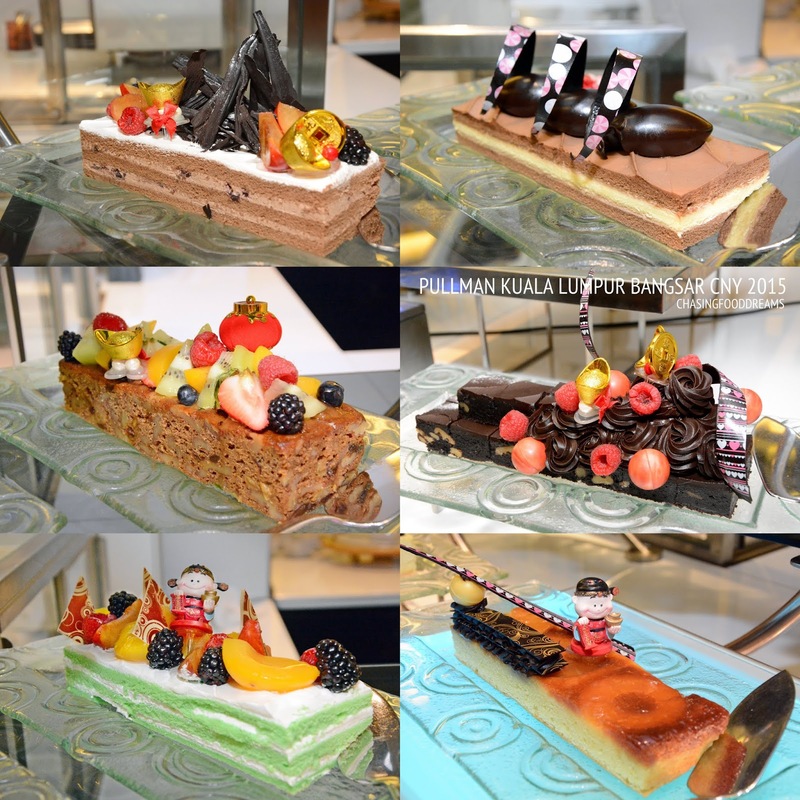 Link offers a long bar of desserts from local to international favorites of Cakes, Tarts and Pastries, Ice Cream, Chocolate Fountain, local Kuih and more. For Chinese festive treats, enjoy Pin Pei Red Bean Roll, Plum Dumpling, Sweet Lotus Soup, Chinese Baked Egg Tarts and CNY Cookies. 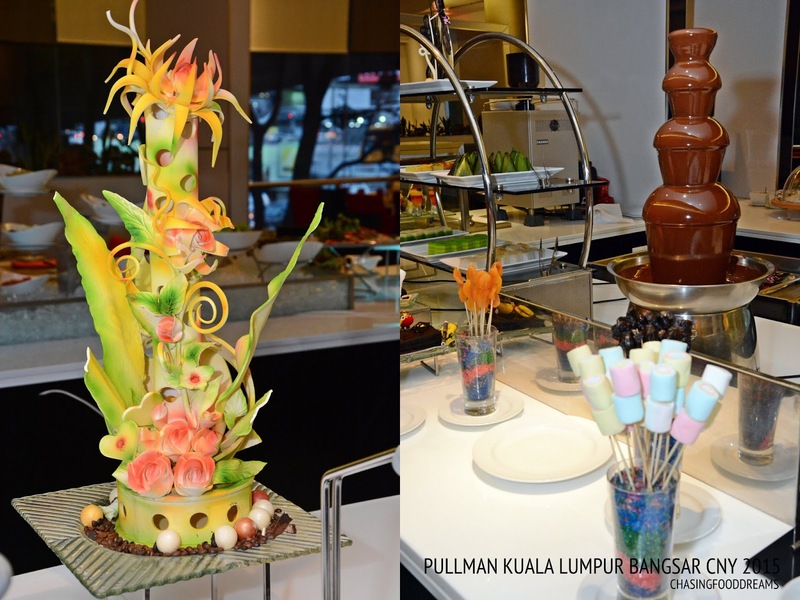 The Pullman Prosperity Chinese New Year Buffet runs from 18 Feb to 22 Feb 2015. 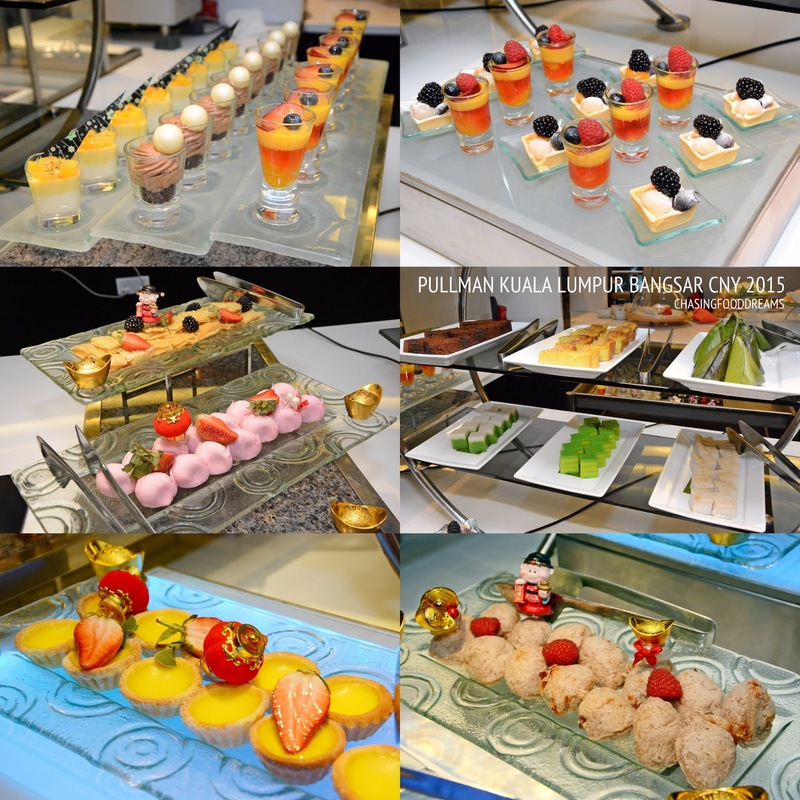 It is priced at RM120nett per person for lunch and dinner. To embraced the spirit of togetherness, any table with 10 persons and above will be served a dedicated Yee Sang dish at the same price on the Chinese New Year’s Eve on the 18 Feb 2015. 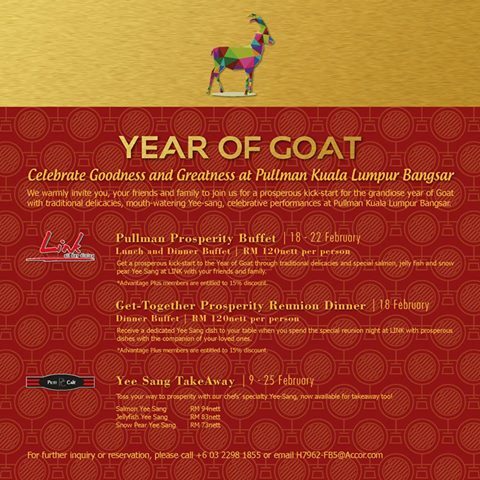 The Get-Together Prosperity Reunion Dinner is priced at RM120nett per person. 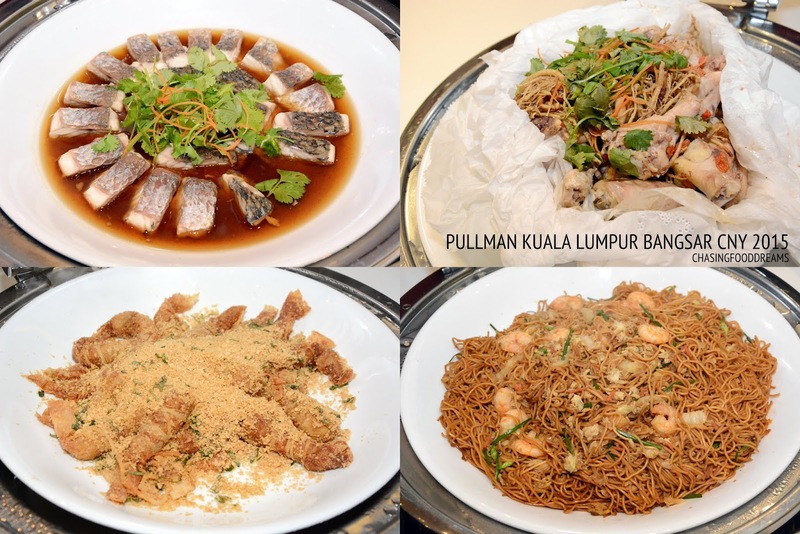 Pullman Yee Sang is also available for takeaway from the main lobby’s Petit Café. 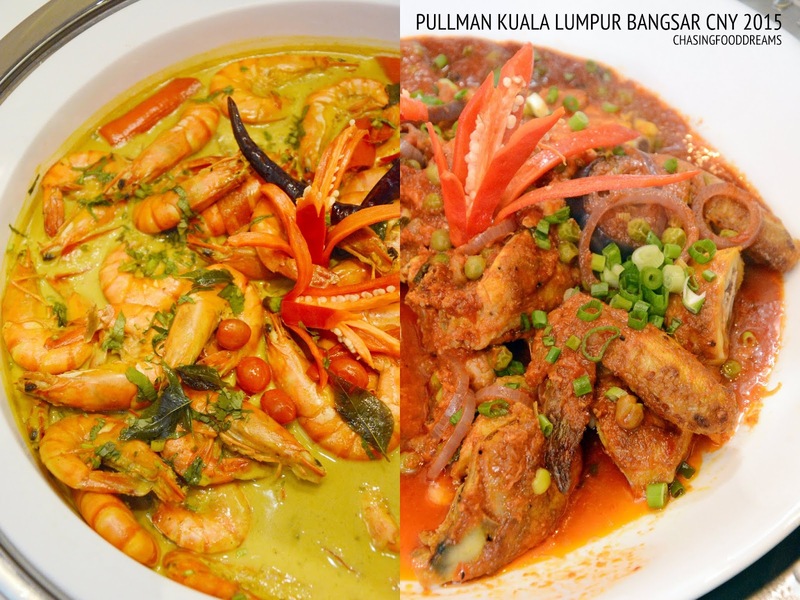 From as low as RM73nett onwards with 3 flavours to choose from, prosperity and happiness can also be tossed all the way to your home! 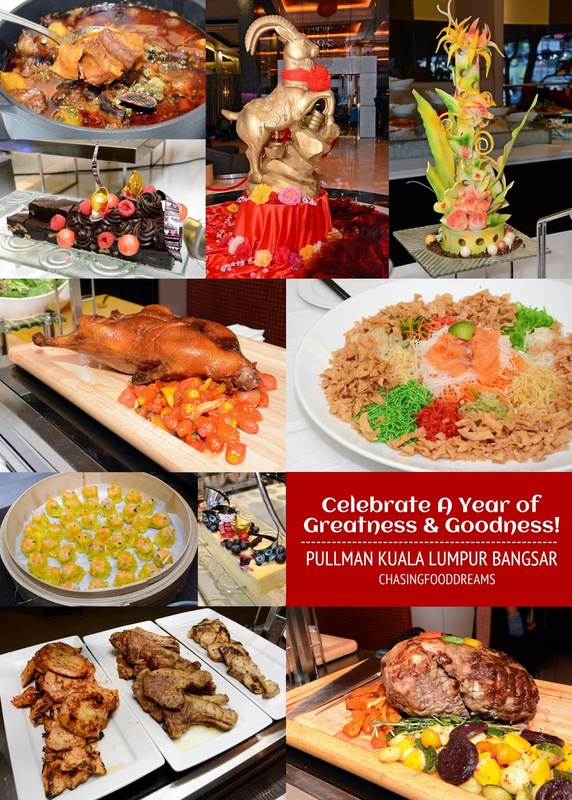 Catch Shaolin GC Academy with their award-winning team as they present a Traditional Acrobatic Lion Dance at the Pullman Kuala Lumpur Bangsar’s main lobby on the 3rd Day (21 Feb 2015) of the Chinese New Year. That's a good looking duck right there.